Open on the First Friday of the month in RICHELIEU HALL from 5:00 – 7:30 PM. 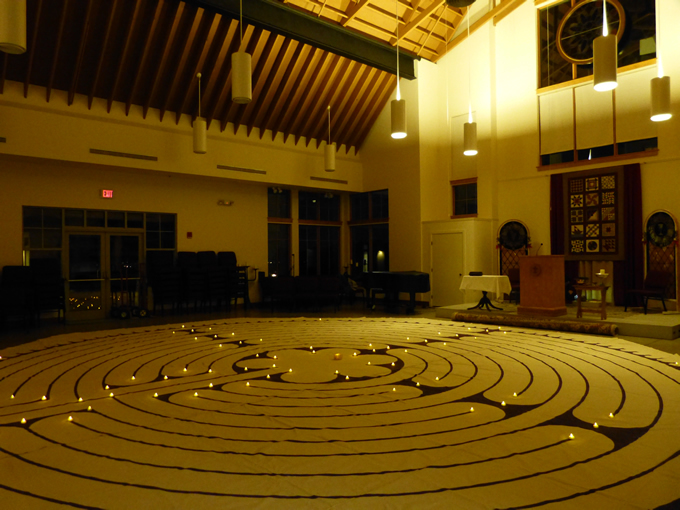 The Labyrinth is an ancient method of healing, meditation and contemplation—a wonderful way to connect with Source. It is likely that you will leave feeling more peaceful than when you arrived. Join us for a walking meditation.